Wednesday, February 25, 2015: Up early to clear sunny skies and warm temperatures. After a leisurely breakfast and some time on the computers, Kit and I are back on the road heading easterly. Not sure where we are going today or where we will stay the night…..normally we would head straight into Tucson and visit Dewey and Bea but they are still on an RV adventure of their own. 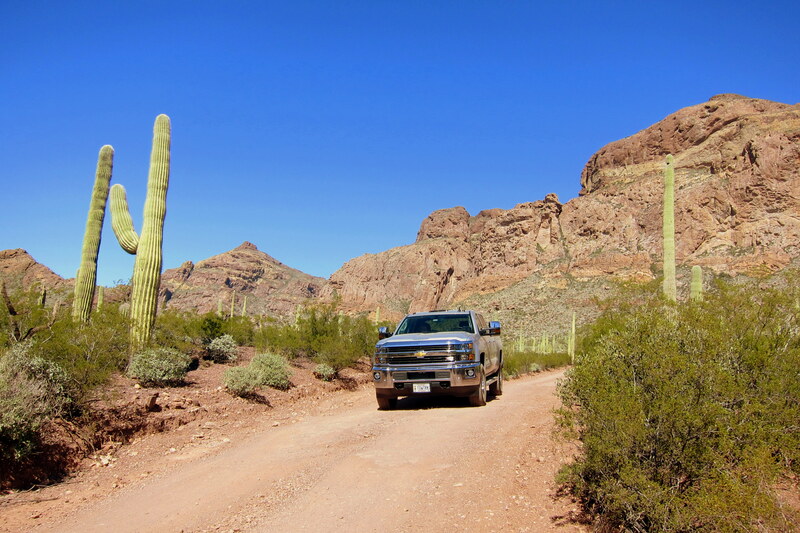 So a quick discussion and vote amongst the members of the Bill and Kit Adventure Team brought a unanimous decision to visit organ Pipe Cactus National Monument (OPCNM). Pulling onto I-8 we drove east for a few hours until we left the boring ribbon of asphalt and headed south toward the tiny town of Ajo by way of US-85. 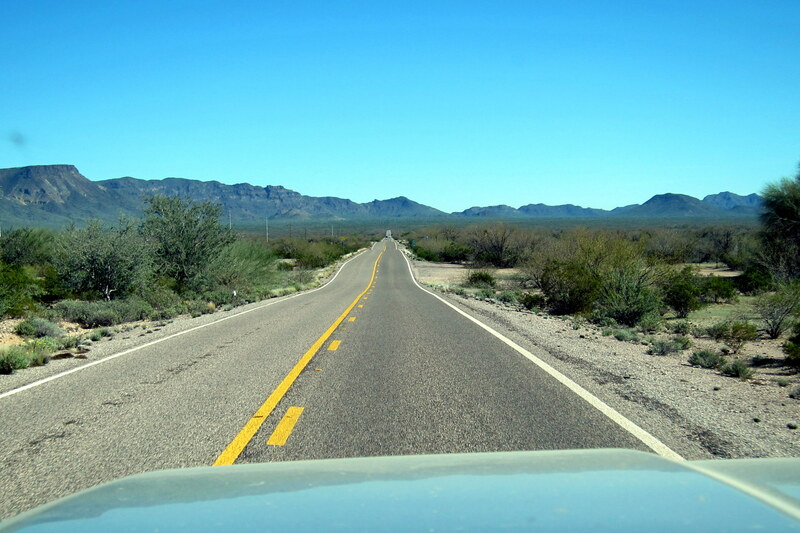 But, alas…..the long lonely stretch of desert two-lane was just way too exciting for Kit. If you’ll notice her reflection in the truck window, that book she is holding is a US Atlas. Kit refers to it frequently in order to tell me where to go……which is surprising to me as I didn’t know Hades was even listed in a US Atlas?!?! Just as Kit was coming back to life we entered the National Monument and she informed me that there was a stop sign ahead at the park gate. 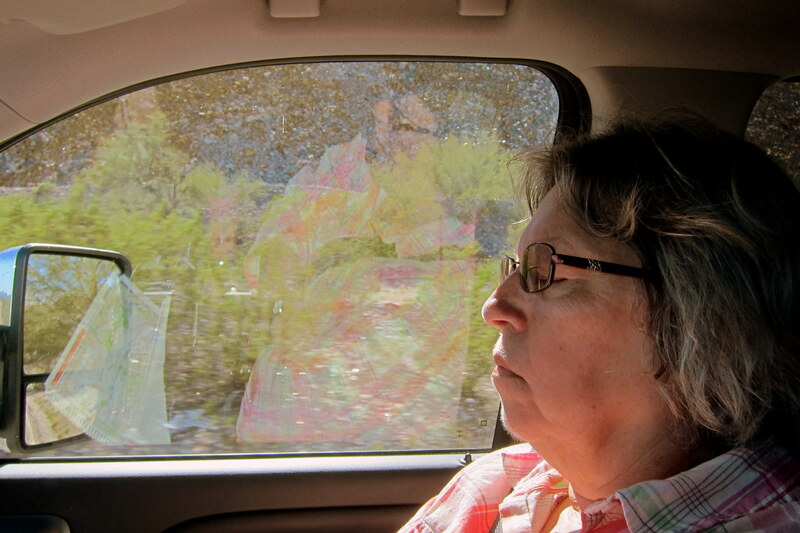 Good thing she woke up…..I might have run that poor US Park Ranger plum over! Our first stop was at the nicely maintained and managed Visitors Center where we enjoyed a short film on the area, picked up some maps and information, then toured the museum where I found the home of one of my childhood pets. 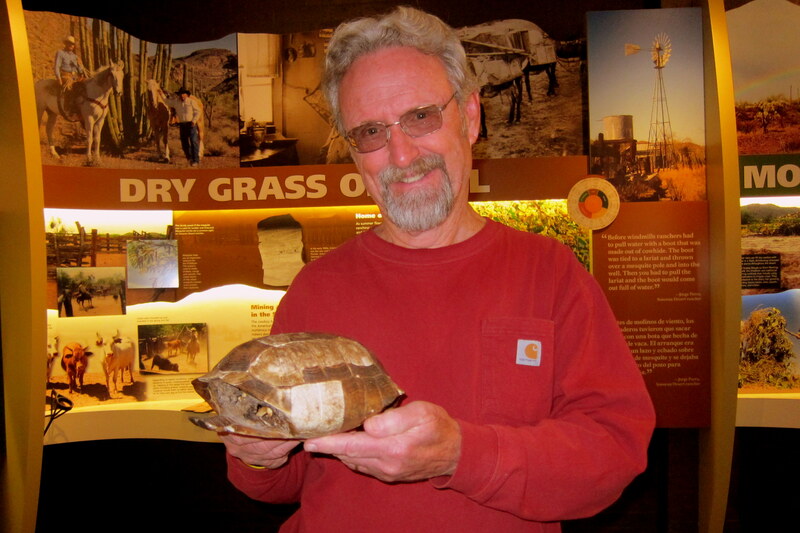 Yep, when I was younger, my Uncle Dewey visited us and brought me a Desert Tortoise from his home state of Arizona. Back in those days there were not that many unusual pets in our San Diego neighborhood, so a turtle was the height of cooldum! Unfortunately, Speedy Gonzales, as I named him, was speedier than I thought and he wandered away from my backyard never to be seen again. Leaving the visitors center and pulling into the sparsely populated campground, we were able to select a very nice site with incredible views. 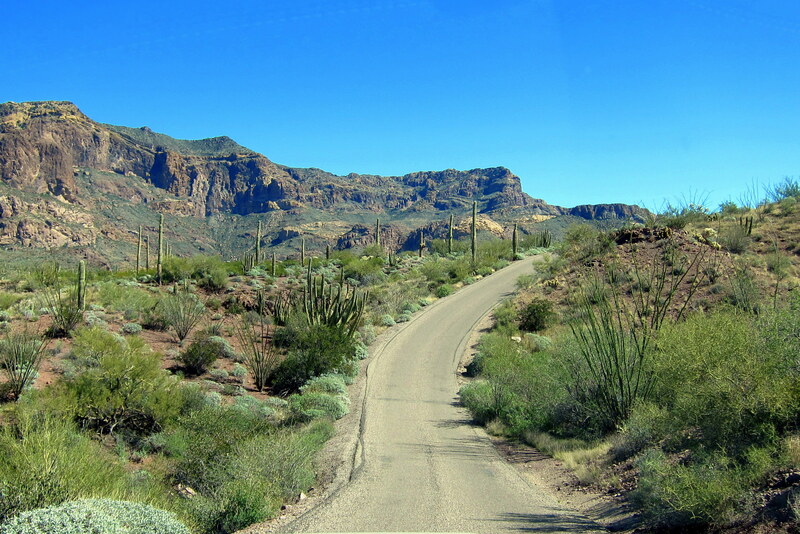 Kit and I have known about Organ Pipe Cactus National Monument for years, but it never seemed to be worth the detour to visit…..boy, were we wrong! 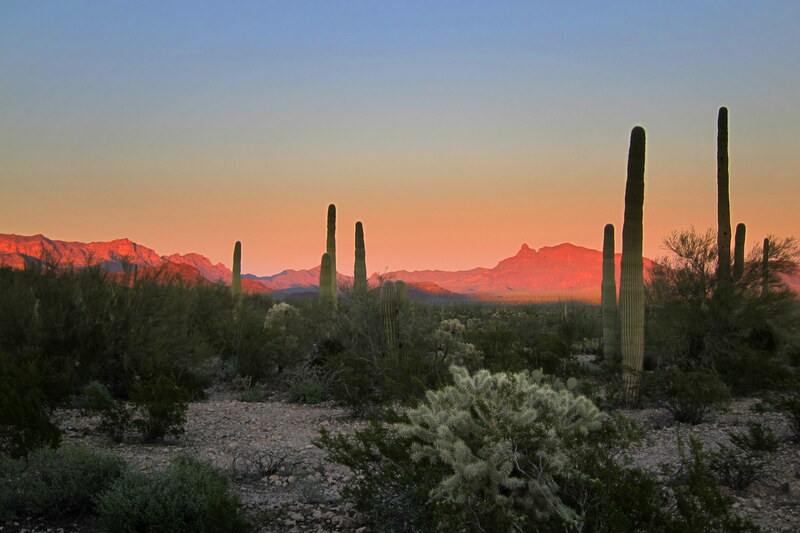 This incredible park is named after the unique cactus that populates the Sonoran Desert in extreme Southern Arizona. 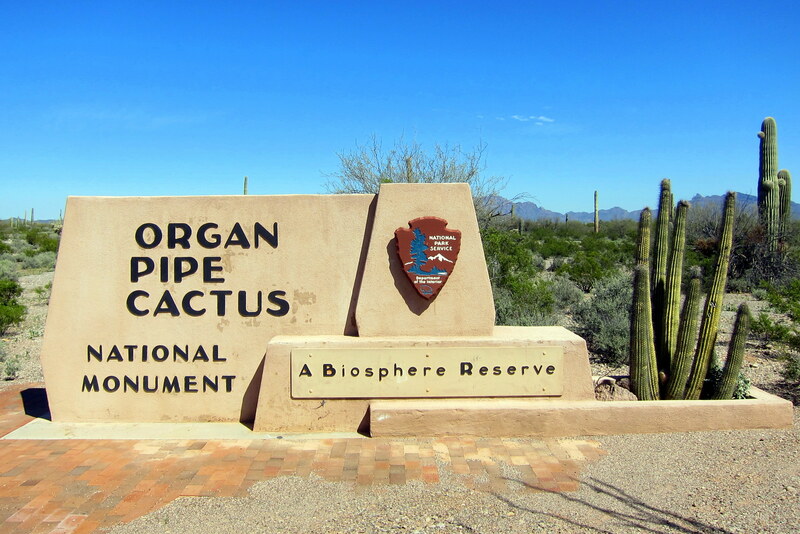 Being at the northern range of its region, this is the only place in America where the Organ Pipe Cactus grows naturally. 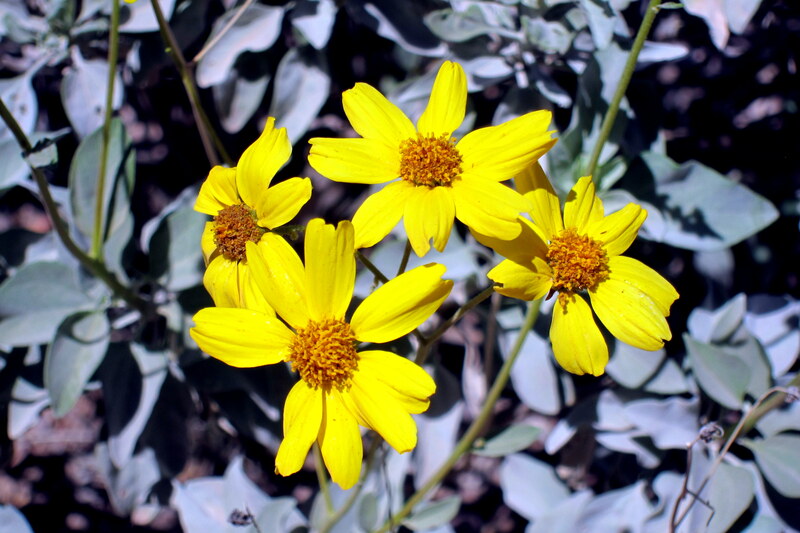 The unusual name was given by early settlers because they thought the branches resembled the pipes of a church organ. They were a pious bunch since almost everything here could hurt them badly, including the native folks that had been peacefully living on this harsh land for decades. 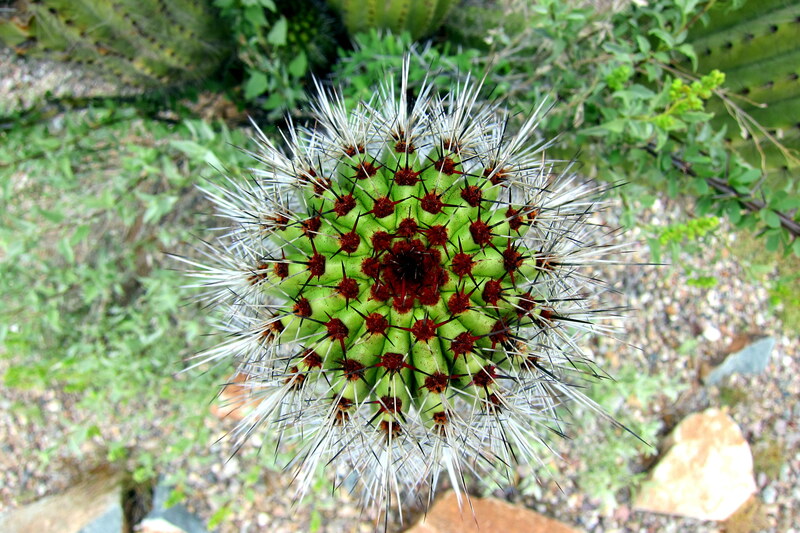 Speaking of which, the Tohono O’odham call this succulent, “Pitaya Dulce”…..a much more melodic word than Organ Pipe! 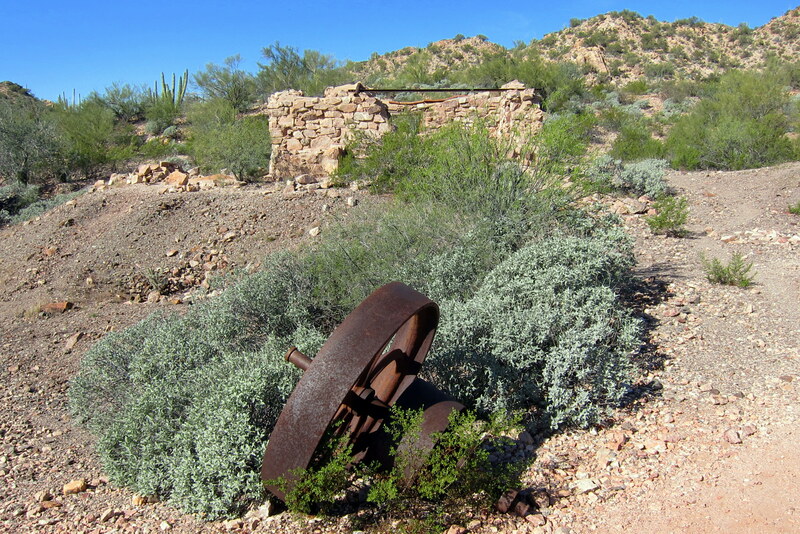 The land for OPCNM was donated by the Arizona state legislature to the federal government during prohibition. 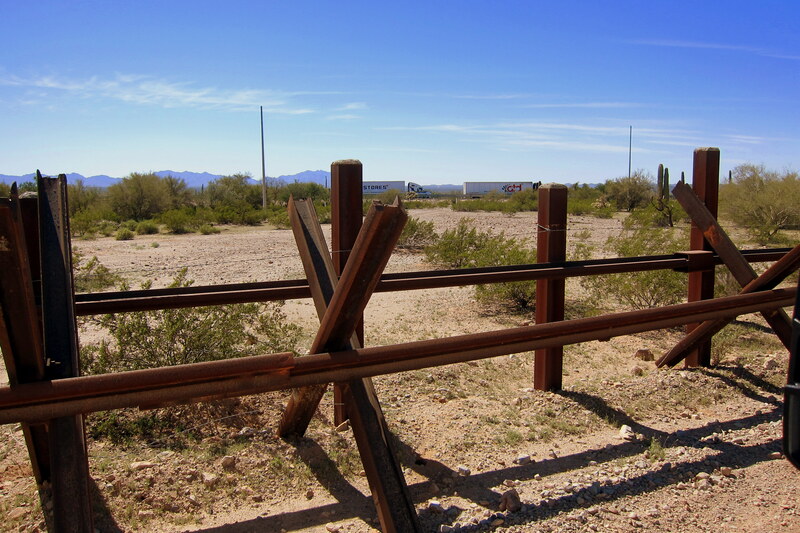 The wily desert politician’s knew that the feds would improve the only road into the area which would then make contraband alcohol easier to import from Mexico. Kit and I had originally planned to just stay the night, but the area intrigued us. It is so serene and peaceful here we decided to extended our visit. 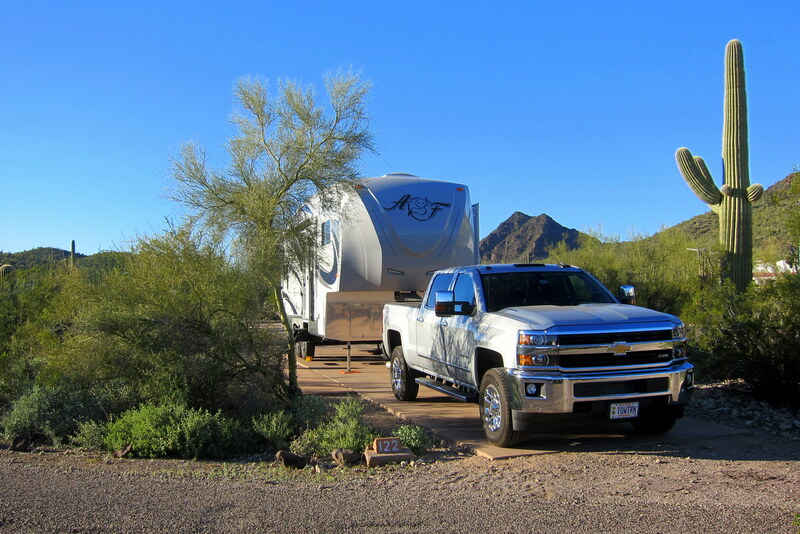 Thursday, February 26 through Saturday, February 28, 2015: Organ Pipe Cactus National Monument (OPCNM): The campground is large and very well designed…..there are many sites that provide privacy and nice views. Since there are no hookups, we are totally dependent on our camper systems for water, electricity and waste water. This will mark our first experience dry camping with the new camper. 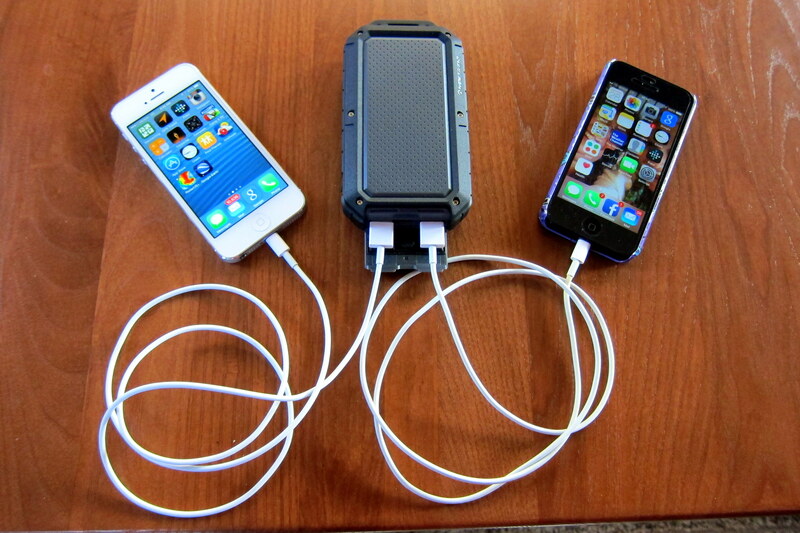 One device we’ve acquired since last year is an external battery pack that is capable of charging a depleted cell phone battery up to five times. You may remember last year in the piney woods of Flagstaff, Arizona I was using my iPhone as a Geocache GPS and the battery wore down before I could ascertain my way back to the campsite? Fortunately a Good Samaritan happened along with a functioning GPS and set me on the right course. I vowed to never let that happen again! A pleasant surprise awaited Kit and I as we took a walk around the neighborhood. After many month of seeing many RV’s from many other states but Maine…..we happen to be camped right next door to a couple from our home state! Tom and Sharon are Yarmouth residents but active in Brunswick town doings. Tom, a retired Bowdoin College professor, is very involved in the Brunswick-Topsham Land Trust and owns a farm that raises the unique Katahdin Sheep. Tom and Sharon are knowledgeable on many topics…..it was very enjoyable to meet them and hear about their lives. 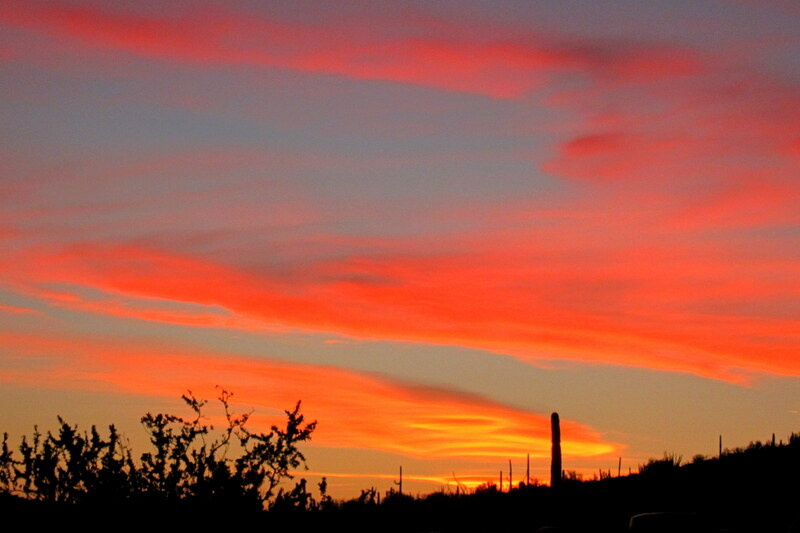 Even the ubiquitous Saguaro Cactus gets in the act with the spring growth at its head displaying a reddish hue. And, not to be outdone, the colorfully (no pun intended) named Pink Featherduster gets into the act! Even the soft green flesh and ivory colored spines of the Cholla possess a beauty all their own. And as a punctuation point, Mother Nature frequently provides a colorful display each evening. So, what’s the difference between a National Park and a National Monument? Actually, very little as they are both managed by the National Park Service and have the same basic charter. However, National Parks can only be created by an act of congress whereas the US President can designate an area for protection by declaring it a National Monument. I’m guessing, due to the dysfunctional nature of the US Congress, we may never see another National Park created again. OPCNM features a number of “jeep trails” that allow the visitor to reach the far corner of the park with suitably equipped vehicles. Anxious to test the new truck on some of these unimproved roads, Kit and I set off. 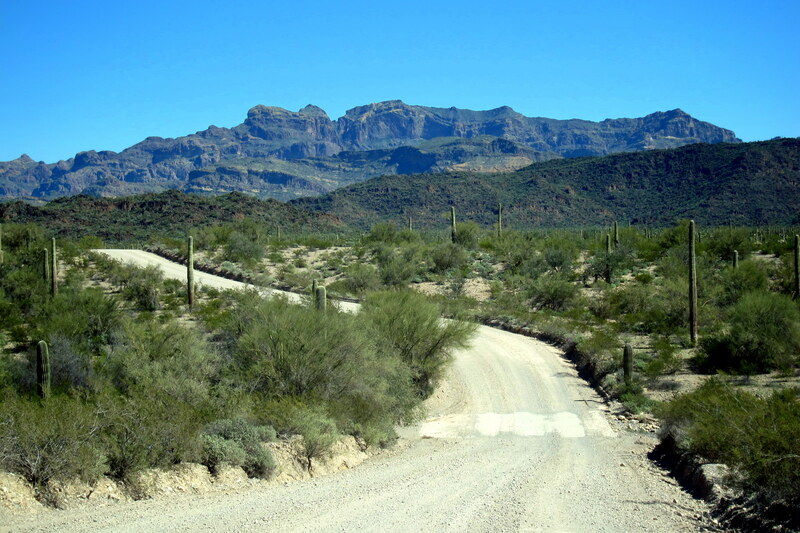 The 21 mile Ajo Mountain Loop took us deep into the desert and across many dry creek beds known as arroyo, or washes……these vulnerable crossings were hardened with concrete to prevent excessive erosion. During spring rains and summer monsoons, the natural swales in desert terrain fill rapidly with runoff from the mountains. Many times during wet weather the entire roadway in these areas will be under a few feet of water! The road led to many interesting features including this natural bridge made by the forces of nature on the softer underlying strata. 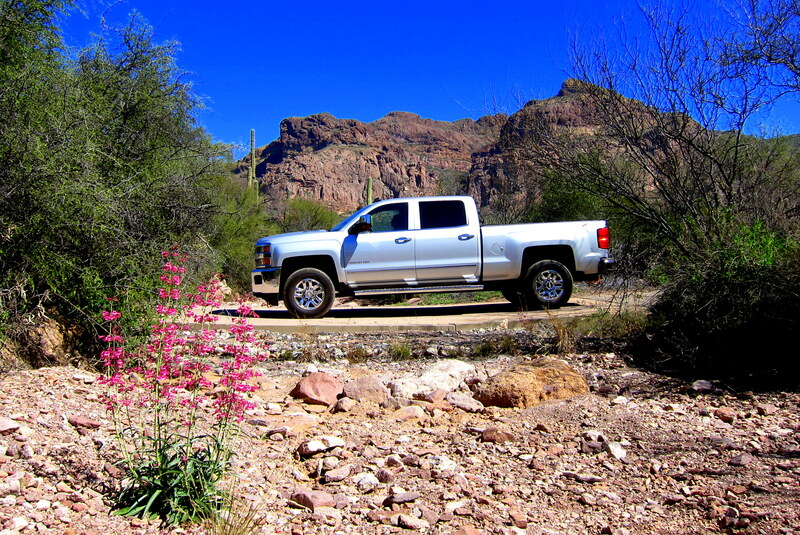 Other than a few washboards, and the occasional rut, the Ajo Mountain loop trail was easy to drive……even for a big one-ton truck! However, Kit and I came across these folks who were doing the trip under their own power. 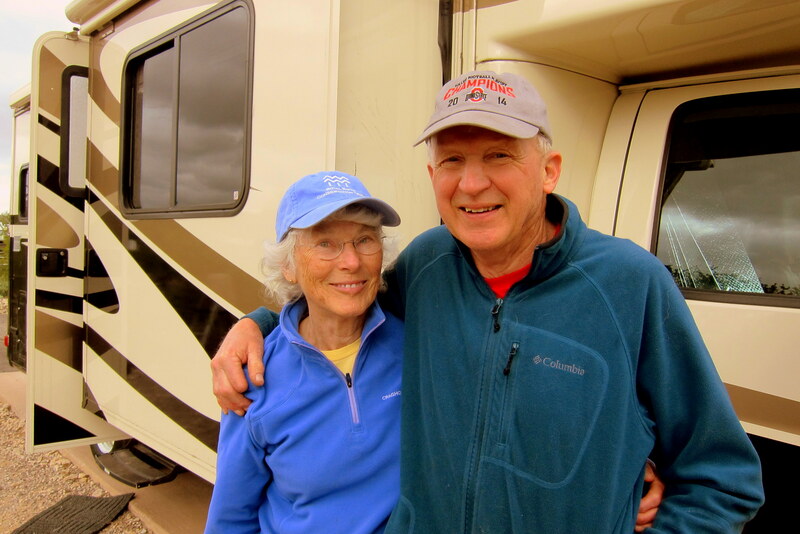 Jeff and Ann are from the tiny town of Yellow Pine, Idaho. 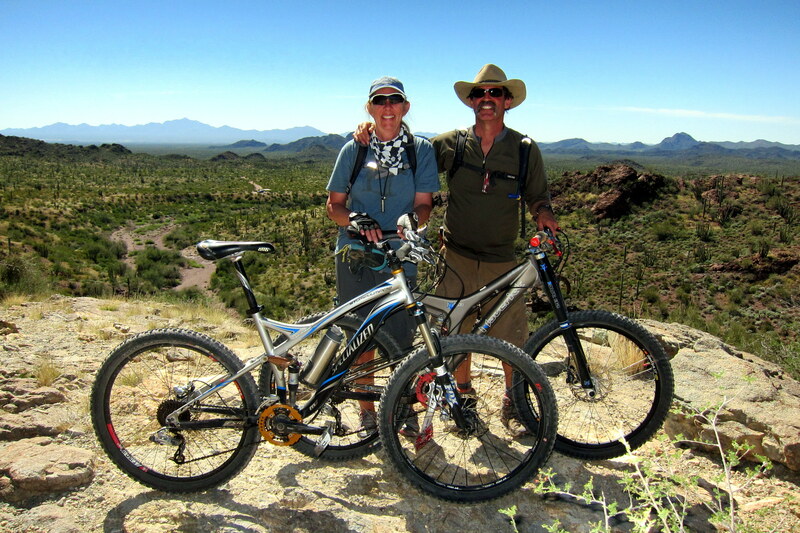 They travel in a small class B motorhome and use their very capable mountain bikes for alternative transportation. Jeff is a retired ranger from the US Forest Service and Ann a former nurse….in addition she was a multiyear National Champion in the unique sport of Supermoto, which is motorcycle racing on pavement and dirt. There are many hiking trails that crisscross the 517 square miles of the monument, most lead to an area of historical significance or to ruins from earlier inhabitants. 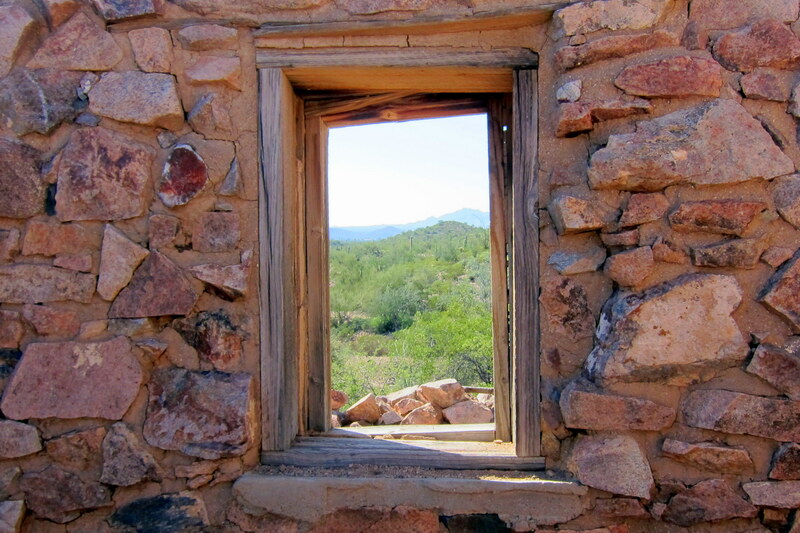 Early one morning, I set off on the Victoria Mine Trail into the foothills of the Puerto Blanco Mountains. 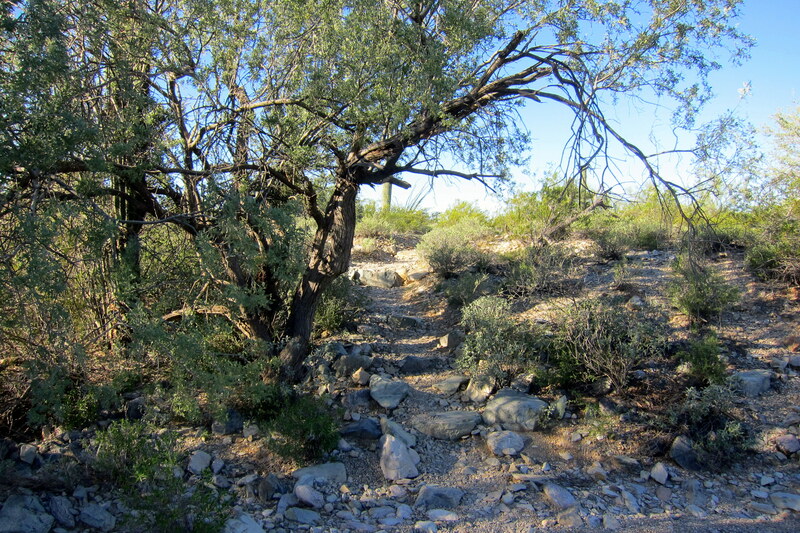 The well-marked hiking path meandered through the cool early morning desert and crossed many dry washes along the way. 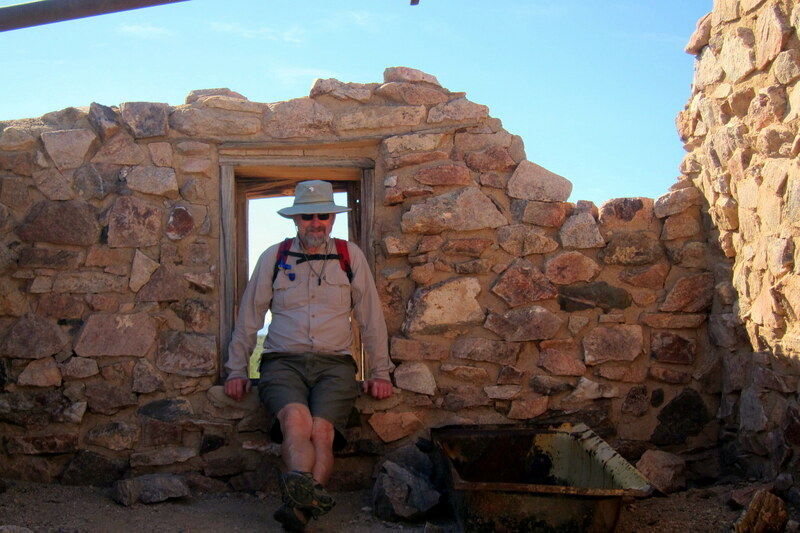 The hike affords an opportunity to immerse oneself into the desert environment. 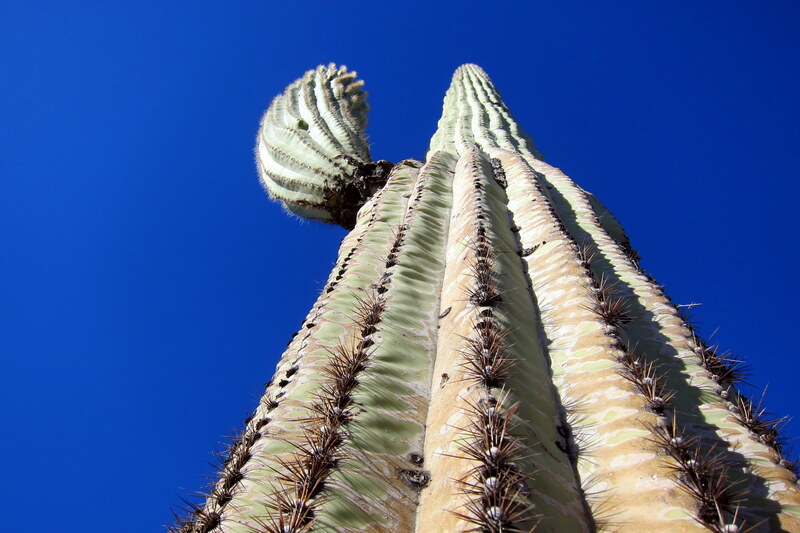 However, getting up close and personal to the iconic Saguaro Cactus is a bit intimidating! 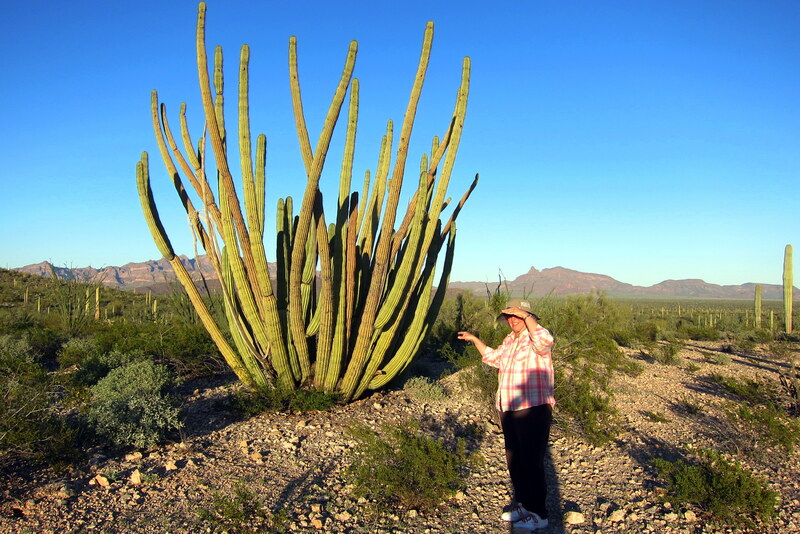 These giants of the desert can reach seventy feet in height and 150 years of age! The Saguaro’s image is frequently used as a symbol of the southwest, even though the cactus only grows natively in a relatively small region of Arizona and California. 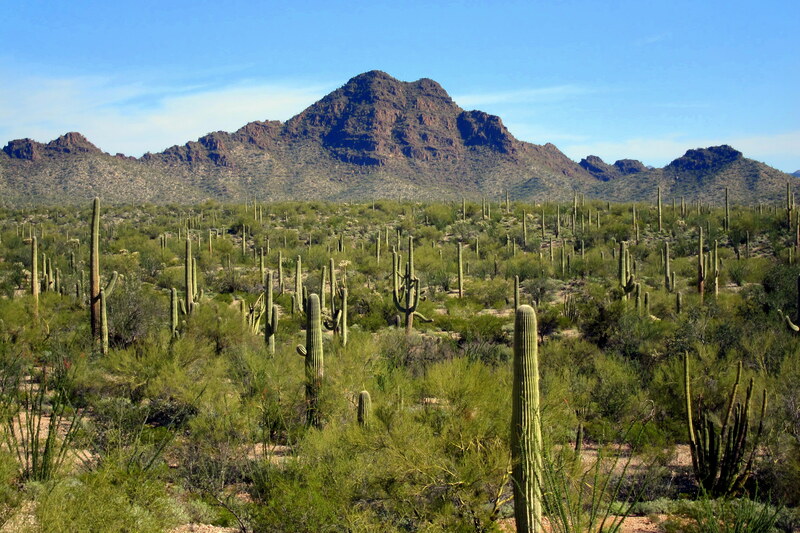 Historically, the native peoples of the Sonoran Desert used many parts of the Saguaro Cactus…..however this threatened cactus is now protected by Arizona and California State Law. 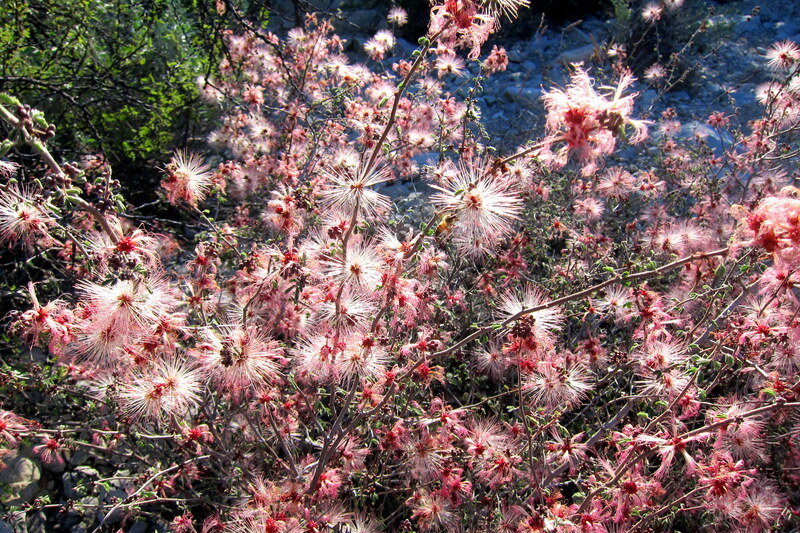 Also growing in profusion on the Sonoran Desert is the Ocotillo, which is not a cactus but a spiny bush. 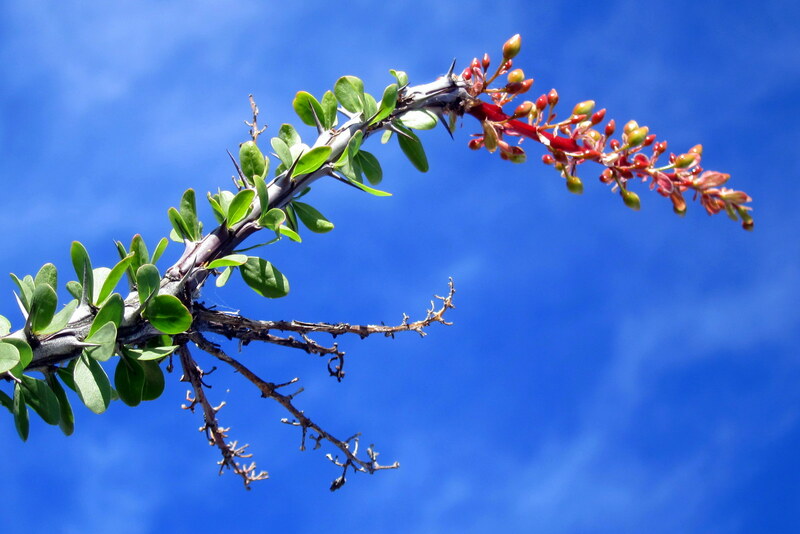 For much of the year, the Ocotillo appears to have died off…..however during the wet season the spindly branches of the plant sprouts bright green leaves tipped by brilliant red-orange blossoms. The Ocotillo plant reaches skyward and sways in the warm desert breeze while waiting for hummingbirds to perpetuate the plants survival. 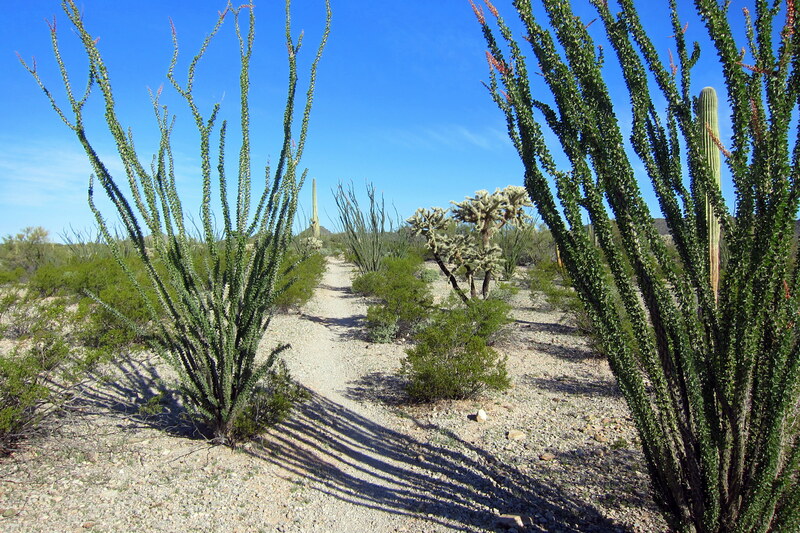 Early settlers used the stalks of the Ocotillo as fencing where they often took root forming a living structure. As a youngster visiting the desert southwest I was intrigued by the Cholla. 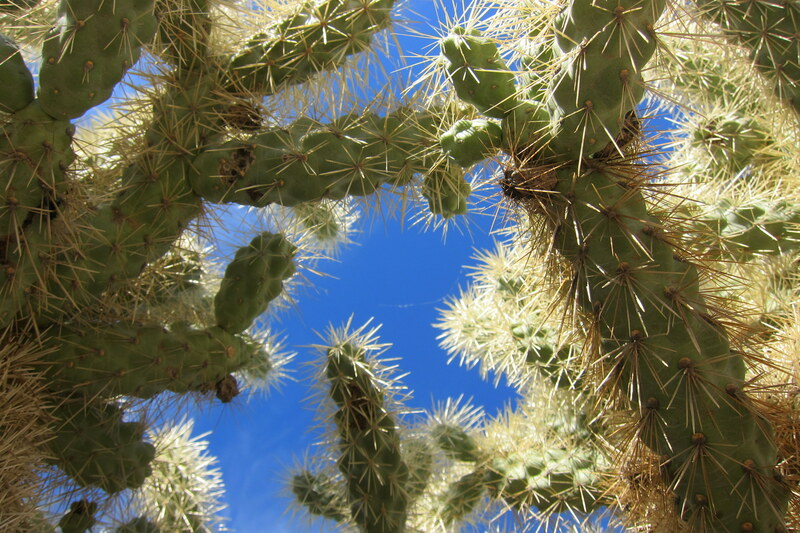 For two reasons, actually…..one is that I was always told by my Uncle Dewey, the original “Desert Rat”, that the cactus was called Jumping Cholla and that I needed to steer clear. The second being that I loved to harvest the “bones” of dead Cholla because I thought they looked so cool. 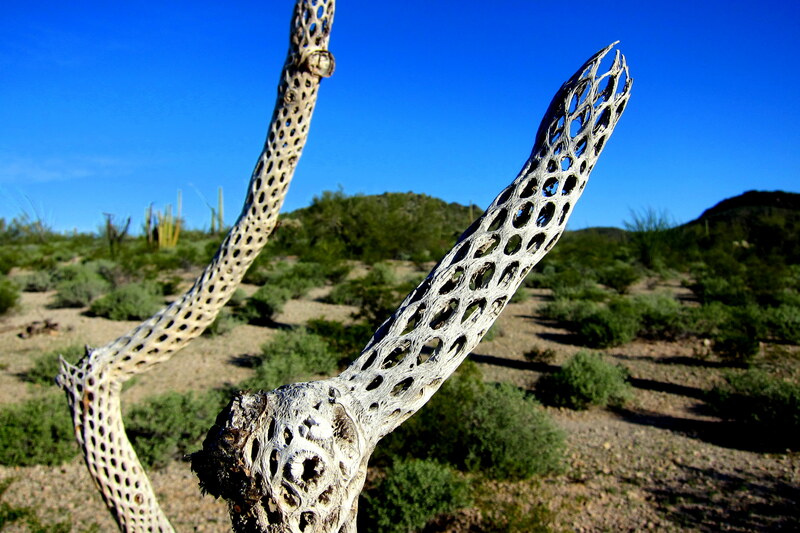 I still have some examples of Cholla Bones in my woodshop back home! Not sure I’ll ever do anything with them but they are fun to have around. 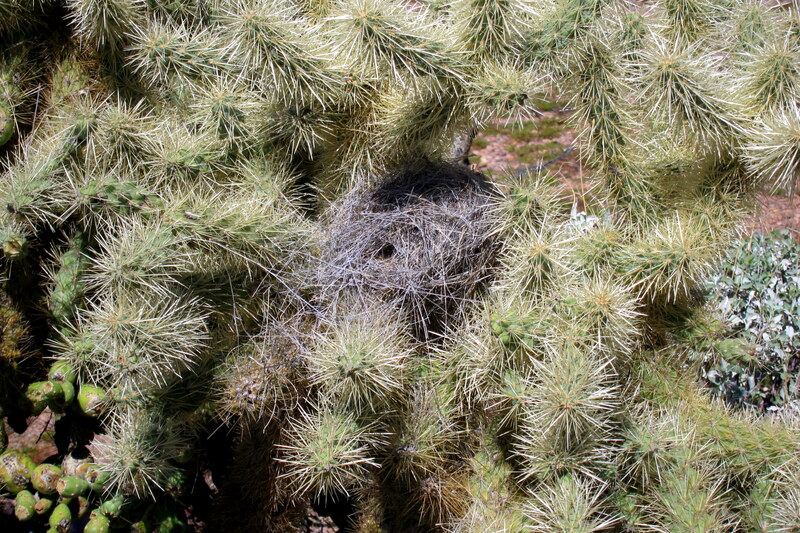 Many birds that migrate here for the winter (the original snowbirds) make their nest in the protective arms of cactus. It is a rare predator that would go after a meal protected by the cactus. At the trail intersection that led to Victoria Mine I came upon this unsettling image. Looking about, I was the only gringo for miles. Reaching for my cell phone showed low signal strength with a message that read…..“Welcome to Mexico! International calling fees will apply, please contact Verizon for additional information or to modify your plan”. Fortunately I was only a quarter mile from the mine so I decided to “keep calm and hike on”. In about fifteen minutes I came to the Victoria Mine site. The prospectors that claimed this area were looking for Copper, Silver and Gold in the ancient granite hills. The stone cottage that housed the miner and his family was a great place to relax and enjoy a trail snack before heading back to camp. The builders were diligent about sighting their home to maximize heating and cooling while enjoying some incredible views. The hike back to the campground was uneventful as I retraced my steps. I did see a number of hikers heading up the trail however…..my getting an early start was beneficial as I had the trail to myself for most of the morning! 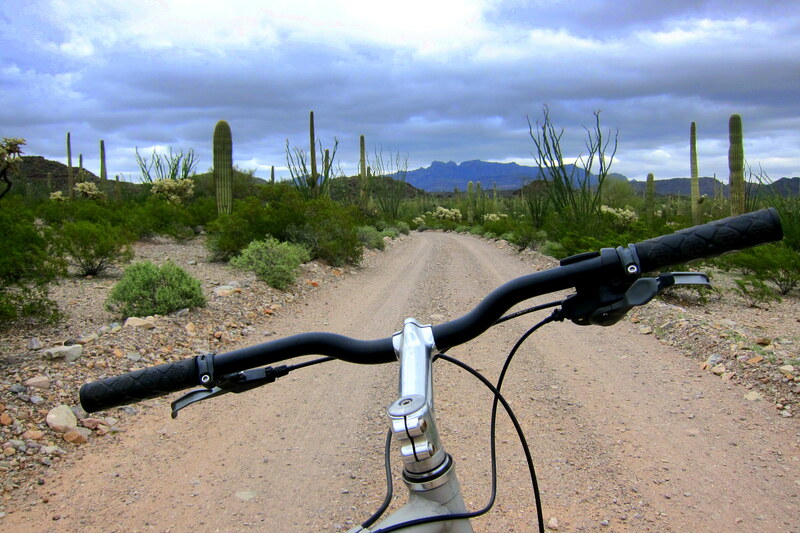 In addition to hiking, Organ Pipe is a great biking venue as well. However none of the trails were open to bicycles so I had to stay on the park roads. Most of the roads off the main park drive were lightly travelled and the rolling hillside made for a fun afternoon bike ride. 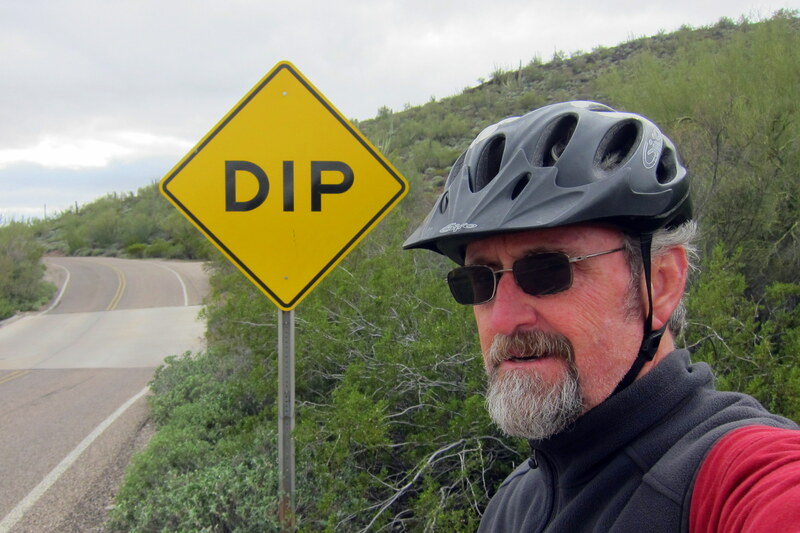 While out and about on my bike, I came across this sign that, for some reason, I could relate too. 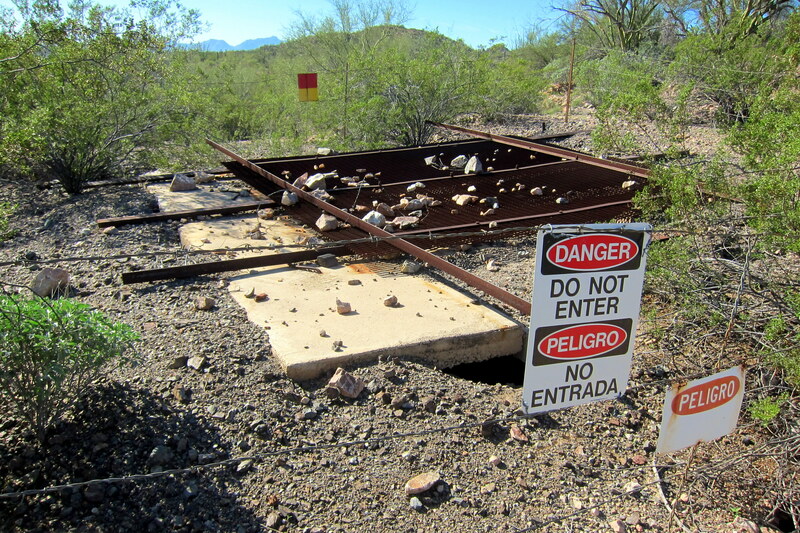 The southern border of OPCNM is, well…..the border. An agreement of reciprocity amongst the US and Mexican critters affords them free and unencumbered travel back and forth across this heavily patrolled area. 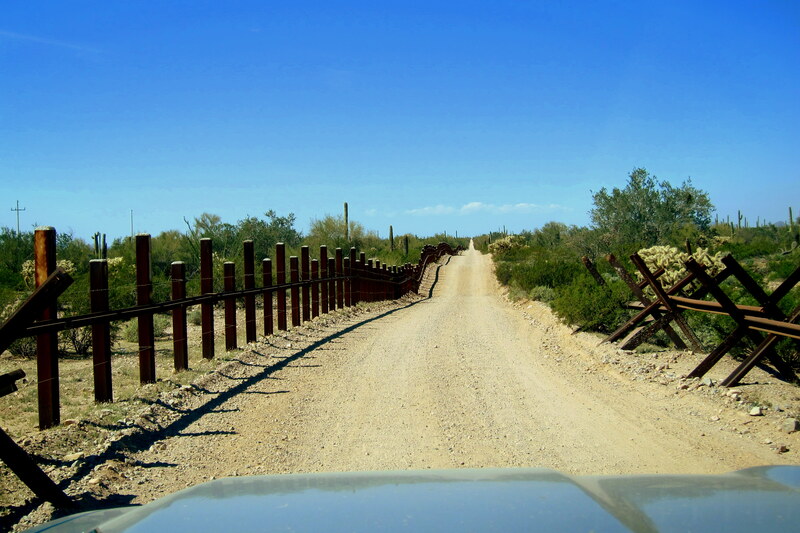 Where most of the International Border is blocked by a 21 foot high steel fence, the border along Organ Pipe’s southern flank is nothing more than a vehicle barrier. The trucks you see in the background are on Mexico Highway 2…..a major east-west thoroughfare. Also in the photo is El Pinacate………..the sister park of OPCNM. 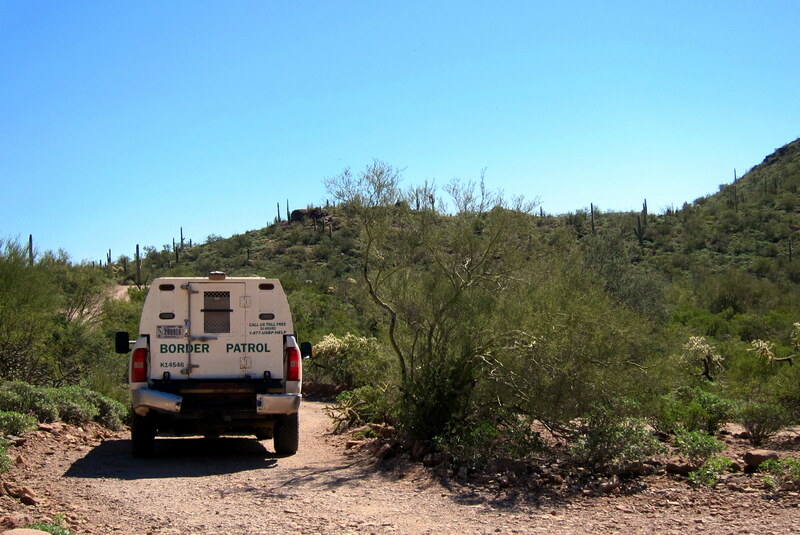 The US and Mexican park service work across political boundaries to monitor wildlife migration and control the impact of humans in both parks. There is a road on the US side as well…..The South Puerto Blanco Drive that we took to see what there was to see. 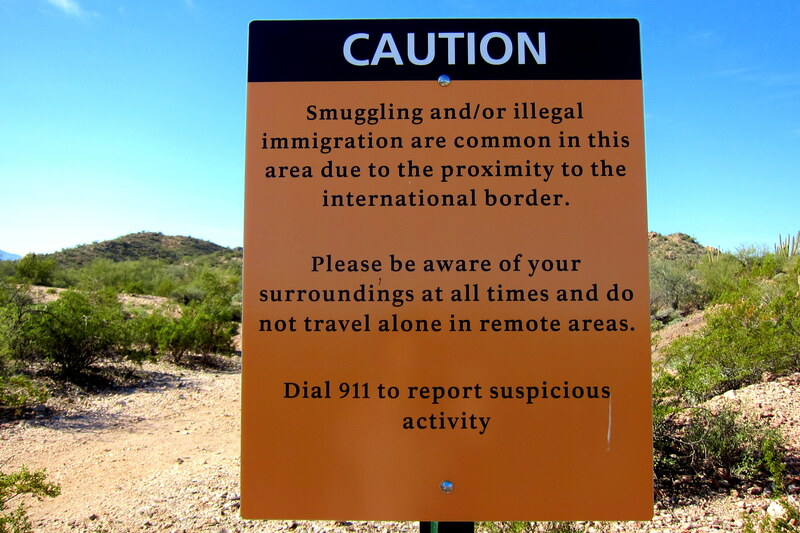 As it turned out…..not much, the only thing we saw were scads of Border Patrol folks hiding in the bushes. Apparently, Kit and I didn’t match the profile of a Mexican Cartel gang member so they just gave us a casual glance as we rumbled by. 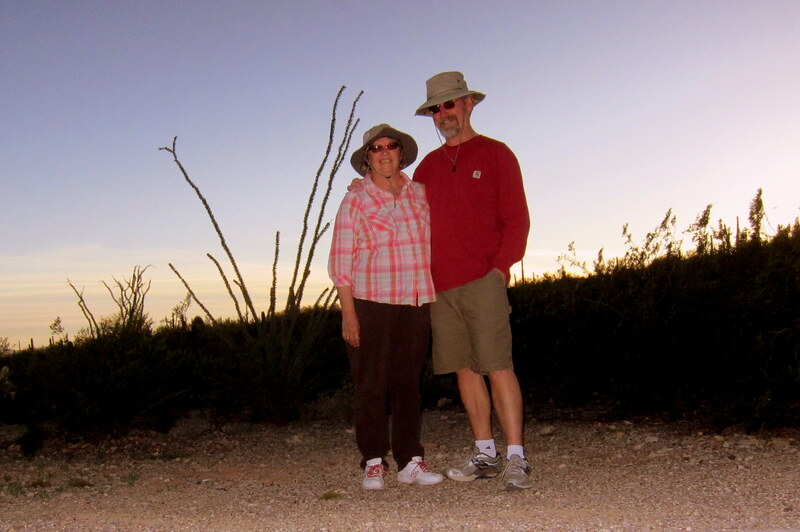 …as Kit and I took one last stroll around the campground. Well, tomorrow we continue our trip easterly. What awaits our bungling sojourner’s? Stay tuned! 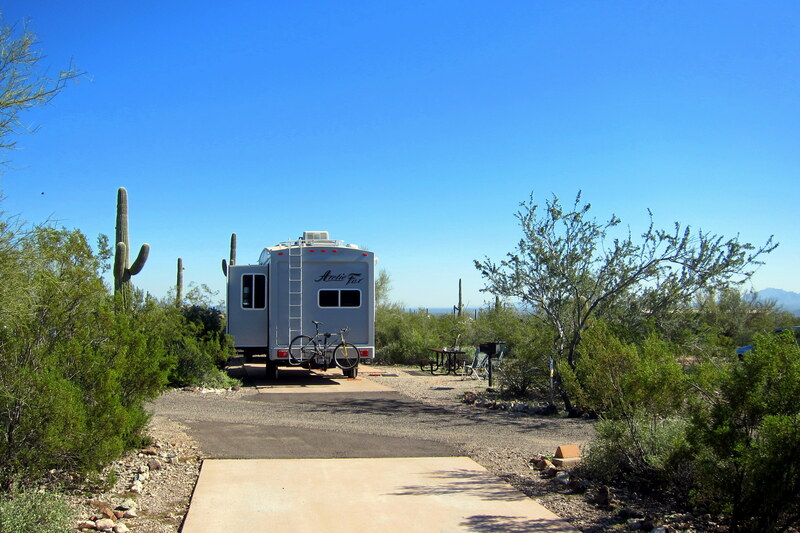 Kit’s Bit’s: Much to my surprise, I thoroughly enjoyed our stay at Organ Pipe! Bill had talked about it for years and I couldn’t imagine I would have any interest in it. So glad we took the time to check it out and I would love to go back again. 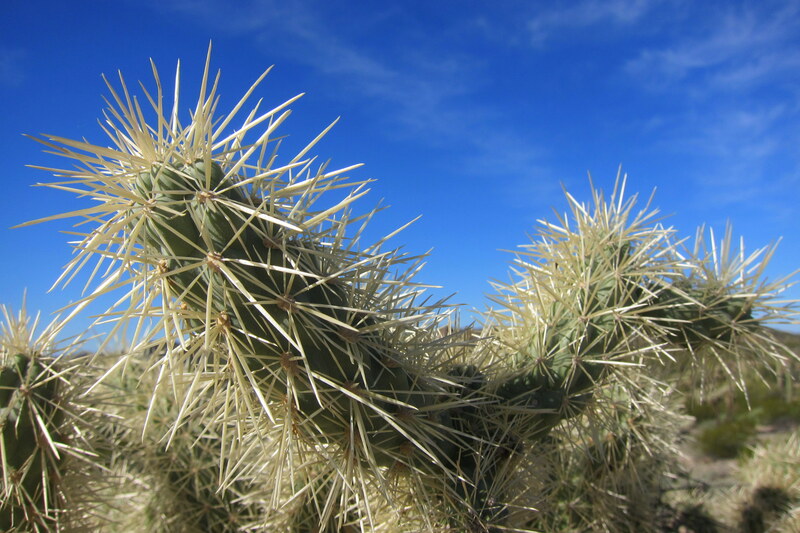 Talking about the Cholla cactus, many years ago, while visiting with Nana and Uncle Dewey, we all took a walk in the desert and lo and behold, Kimber was attacked by a jumping cactus! Naturally, at about 9 years old, she was frightened. Nana got all the stickers out of her pants and calmed her down. I think she still remembers this incident. Also, we still have in our cellar specimens of Cholla bones. We used to encourage the kids to take them for “show and tell” at school. When they were younger, they would but, as they got a little older, they said “no way”! In addition, we have some bleached cow bones, which were found by Bill many years ago in the desert. These made their rounds at “show and tell” too. Bill has such a knack for picking up the sweetest things to share with us. First, it was the desert tortoise, which I thought was a bouquet of flowers, then all these bones. All my hints about flowers and See’s Candies fell on deaf ears! What can I say, ya gotta love his high style! It is a small world indeed, Tom also knew a number of other folks we do! An interesting fellow and fun to talk to. His wife Sharon is delightful as well. Hope you folks are well and have weathered (pun intended) the winter OK.
Quite interesting and informative about vibrant desert life—-I didn’t know much until reading your Blog. Happy travels! Thanks for the nice comment. Hope to see you folks at some point this summer. You’re welcome…..thanks for the nice comment. We do enjoy bouncing about the US, however there are downsides as well. Take care of yourselves, hope to see you at a dance this summer! SORRY NOW I DIDN’T PAY ATTENTION TO MY GEOGRAPHY TEACHER, THANKS FOR THE EDUCATION. DO YOU EVER RUN ACROSS A RATTLER ON YOUR WALKS?? TODAT HERE IN BOWDOINHAM, IT’S ABOUT FREEZING, BLOWING A GALE WITH BLINDING SNOW. VISIBILITY ACROSS THE BAY IS LIMITED TO ABOUT A HALF MILE. NAN AND WINDYS DAUGHTER IN LAW SHANNON BEING OPERATED ON FOR HER SEVERE NECK PAIN THIS MORNING. DON’T HURRY EAST JUST YET!!!! Again, thoroughly enjoyed your adventure. We too, have crossed paths with Tom as our children were in Brunswick schools at the same time and Sterlin has always had a great interest in sheep. Have enjoyed all you travelogues but this one especially because it reminded me of our time in Tucson with the beautiful flowering cacti! Enjoy and come back to Maine safely but not too soon! We are in Venice enjoying beautiful weather, square dancing, excersize classes, golf and biking (the last two for Gerry). Pat and Andy arrive on Wednesday. George and Carol Langbehn have been in the area since March 1st. We have enjoyed spending time with them. Hi, great hearing from you and thanks for the comment! The American Southwest is a special place that most folks never visit. Glad you guys are in a warm place, tell Pat, Andy and the Langbehn’s we said hi! We just spent a week with Karen and John Roger Martin. You names came up a number of times in our conversations. We are all Artic Fox owners. Karen and John Roger really liked your trailer so I think they will be purchasing a newer Artic Fox with the layout of your trailer. We are still in our 26 foot pull behind, but we are on our own lot in Fulton, TX. Karen and John Roger boondocked on the lot across the street from us (with permission) so they were close by. Enjoy your trails. Hi, thanks for leaving the comment on our website! We really like our AF 27-5L…..it suits our style of travel perfectly. Hope you folks are doing well and that our paths can cross again at some point. Take care. 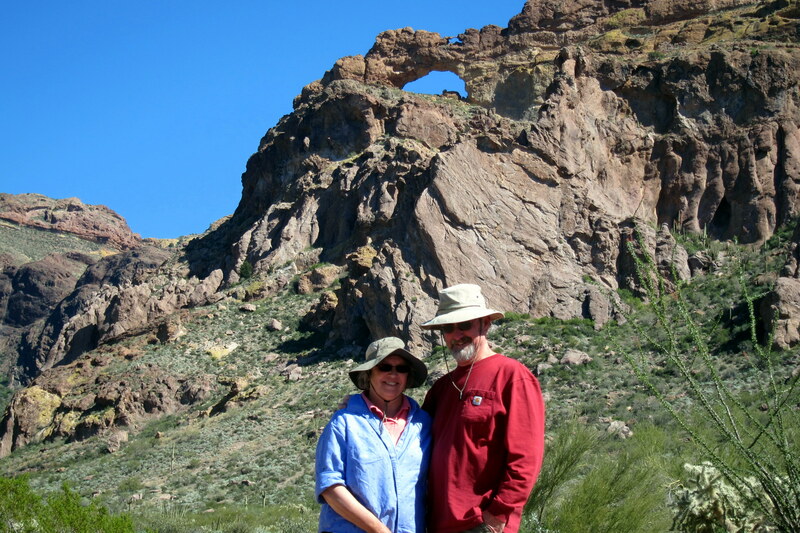 Hi folks: We spent some special days at Organ Pipe Cactus National Monument back about 1997 with other Oregon friends…loved it there,, and I did a lot of sketching around the Victoria Mine location as well as the Ajo and Blanco mountain drives. Enjoyed our time with Chuck and LeaRae rested up and relaxed….now at Austin, TX visiting other friends….travel safe you two…enjoy that “Fox”….yes, we will pick up our new model in mid-May at LaGrande …..just could not talk ourselves out of it! See you next year? Ohhhhh…..I remember the attack of the jumping cactus! Thanks for taking us along, vicariously, on your winter travels. 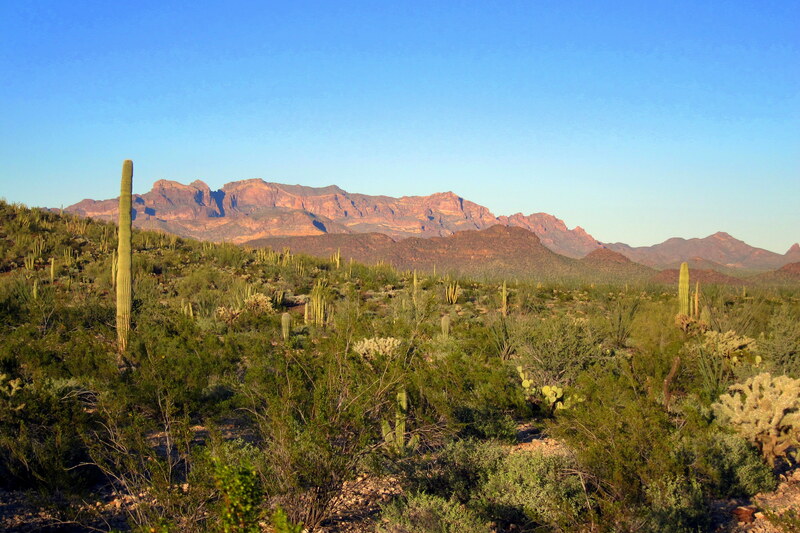 When I visited Organ Pipe Cactus National Monument several years ago, I was struck by the beauty of that corner of the Sonoran Desert. And I was spooked by the helicopters patrolling the border. It is amusing that you posted this on March 30 and mentioned bumping into Tom Settlemire from Maine. I bumped into him just two days later at the annual Brunswick-Topsham Land Trust Advisory Council meeting. Small world.